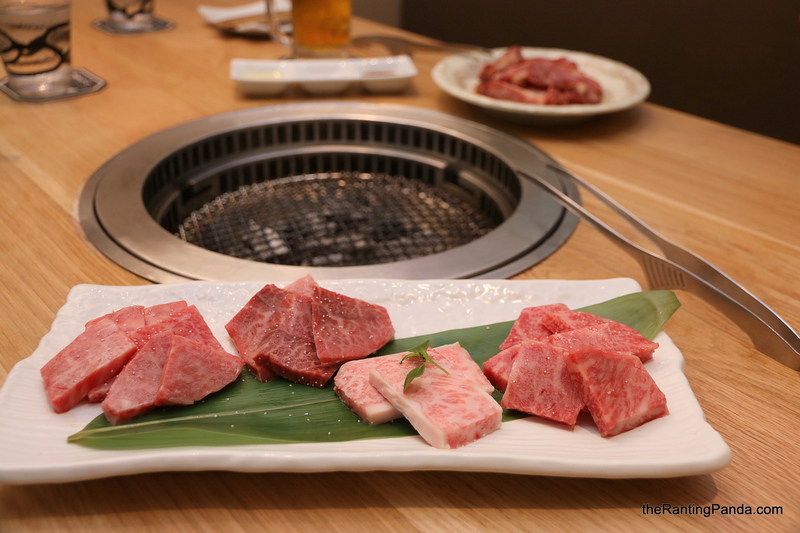 The Place We love Japanese Yakiniku and it is a surprise that Aburiya Japanese Wagyu Yakiniku restaurant has been off our radar. Located at Boat Quay, the Japanese Yakiniku dining concept has been opened since April this year, managed by the same team who also runs the Robertson Quay outlet which has been around for years. Other than Aburiya Japanese Wagyu Yakiniku, adjacent to it is The Container Wagyu Tapas & Bar run by the same company, a casual concept by the Singapore River offering a tapas menu. Aburiya’s Boat Quay concept spots a contemporary Japanese zen look, with many individual dining compartments decked in wooden furnishings. There is no strong smell of meats or smoky ambience like what we encountered in Japan before, so be rest assured if this is a concern. The Food We understood from one of the manager that the menu at Boat Quay is different from the sister outlet at Robertson Quay, though the meats are consistently Japanese Wagyu cuts. At Aburiya, the meats are sourced mainly from Hokkaido, where the restaurant works closely with local farms for the Kuroge Wagyu Beef (Japanese Black Cattle) ranked A4 or higher. We went straight for the Aburiya Kiriotoshi Tokumoro Platter (S$40 for 250g) where it is an assortment of various parts of Wagyu and Tonkachi beef. Tonkachi beef is a cross-breed between Holstein and Japanese Black Cattle. We enjoyed this platter of meats. The meats were well marinated with soy sauce and salt to give it a sweet flavour. The texture of the assortment of meats were generally very tender, and I would say melt-in-the-mouth. Special mention goes to the specially sourced ‘bincho’ or white charcoal used to grill the meats, which supposedly gives the grilled meat a special flavour. We also tried the Tonkusen Wagyu Mori (S$50), a mix of four different cuts of the premium kuroge wagyu beef, which include the likes of Sirloin and the rare Misuji (oyster blade). It might be that the meat platter here wasn’t marinated with soy sauce, hence he flavours were distinctly less sweet and we found ourselves having to dip it with the sauce. Surprisingly, we enjoyed the Aburiya Kiriotoshi Tokumoro platter more than this supposedly better sliced platter. For non meats option, we had the Gyukotsu Paitan Ramen (S$11.90), essentially beef bone and oz tail white soup. Skip this as the broth wasn’t as rich as we wished it would be. Rants We would love it if the service crew helped to grill our first serving of meats, imparting some skills on how to perfectly grill them. Will I Return Again? Aburiya is a very decent option if you fancy a Japanese Yakiniku dining experience. The quality of the meats here are definitely above average, while prices are fairly reasonable as compared to other similar establishments. Make your reservation instantly at Aburiya here.